A spectacular excursion that covers two intriguing regions, Ibusuki and Chiran. Ibusuki is located on the southeast tip of the Satsuma Peninsula and is a famous resort area is Kyushu. 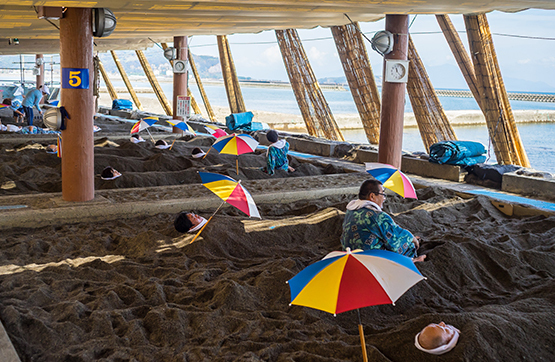 Here guests have the opportunity to lay in warm sand pits where they are gradually covered with volcanic sand up to their necks. The weight and heat of the sand assists in the body’s blood circulation, and after about 10 minutes, the whole body begins to perspire and relax. Following a hot sand and spring bath, we visit Satsuma Denshokan Museum where a large collection of Satsuma Pottery is on display. Sampling traditional Japanese cuisine is a must so we dine on a delicious Kaiseki meal. This decorative and very delicate Japanese cuisine is hand-prepared in a private room at a local restaurant. Following this we head south to Chiran Peace Museum, also known as the Kamikaze Pilot Museum. 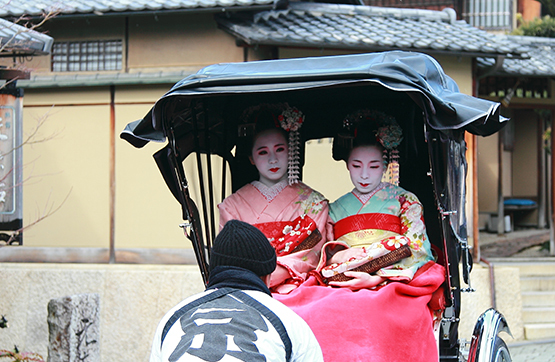 A program that delves into the cultural depths and hidden traditions of Japan. Arashiyama is a pleasant district in the western outskirts of Kyoto and steeped in a fascinating cultural heritage dating back to the 700s. We travel through the heart of Arashiyama by rickshaw to visit the UNESCO Zen temple of Tenryuji. Ranked among Kyoto’s five great Zen temples, Tenryuji is the largest and most impressive temple in Arashiyama, founded in 1339 at the beginning of the Muromachi Period. To understand the culture beyond the visible, we next try Zen Meditation. Led by a monk serving the temple, we enter a private Zen room where guests can learn the basics of meditation that led the Buddha to enlightenment. After our insightful experience, we sit down to a ‘Kaiseki Ryori’ lunch in a traditional themed restaurant where Geisha also await.